We Fix Davis County Sprinklers! How To Save On The Water Bill By Saving Water! A lawn sprinkler system makes life much easier and saves us time. 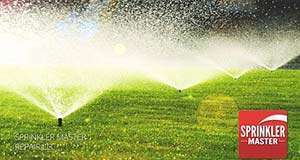 A sprinkler system cuts back on the use of water by watering more effectively. However, a broken sprinkler system can waste over 4’000 gallons of water a month. Most sprinkler problems go unnoticed because they run at night and go unseen. Common problems with a lawn sprinkler system is that they are not rising above the grass (not popping up all the way) as well as broken tops and broken pipes below the ground. Sprinklers that do not cover correctly wastewater and can causing lasting damage. Call Sprinkler Master Repair today! For sprinkler repair or winterization click below. 10 Ways a Great Lawn Will Make Life Better! A beautiful, lush, dense lawn has many great advantages. A home with an inviting lawn will welcome you and all of your guests. Here are a few advantages of a well maintained lawn. When the heat is on in the summer, grass keeps you cool. Front lawns of just 8 average houses have the same cooling effect as about 70 tons of air conditioning, while the average home-size central air unit has only a 3 – 4 ton capacity. On top of that grass acts as a noise reducer as it effectively absorbs and deflects sound. When combining a beautiful lush lawn with trees, shrubs and other landscaping a lawn can significantly reduce hard unwanted noise. Lawns can contribute to your sense of well-being. Most people say that the best place to relax is in their own backyard. A green, attractive landscape design goes much further than just relaxation and recreation. For example when the city installs landscaping and grass parks to enhance the area, people start taking pride in their surroundings and raise the bar of their own property maintenance. As well as, when I have a neighbor with a well-kept lawn, it encourages the rest of the neighbors to do a better job and in return the whole neighborhood benefits. An attractive landscape can make or break a home sale. Landscaping can add tens of thousands of dollars to the value of your property. In fact, it is one of the few home improvements you can make that not only adds value immediately, but also increases in value as the years go by; while interior decor and design concepts regularly go out of style and mechanical systems wear out, plants grow fuller and more robust as the years go by. The home’s value is added at an advantage ranged from 5.5 percent to 12.7 percent. That translates into an extra $16,500 to $38,100 in value on a $300,000 home. A beautiful landscape design and healthy lawn is a good indication that they’ve taken care of the inside of the house as well and that the home is worth a premium price. Grass Is A Pollution Fighter! In one year the blades and roots of grass in an acre of healthy grass absorbs hundreds of pounds of pollutants from the air and rainfall. Among them are sulfur dioxide, nitrogen oxide, hydrogen, fluoride, nitrates and other gases blamed for acid rain and the greenhouse effect. Grass plants remove co2 from the air and produce o2 in return. Just 625 square feet of grass supplies all the oxygen a person needs for one day. A 5000 square foot lawn produces enough oxygen for 8 people each day. In comparison, it takes two 100-foot trees to provide the same amount of oxygen for 8 people. A green lush lawn stabilizes the soil against water and wind. Lawns prevent runoff and erosion of our valuable topsoil, keeping additional phosphorus from entering our streams and rivers. A healthy lawn also traps much of the estimated 12 million tons of dust and dirt released into the US atmosphere annually. Healthy, dense lawns absorb rainfall 6 times more effectively than a wheat field, four times better than a hay field, and prevent runoff and erosion of our precious topsoil, keeping additional phosphorus from entering our streams and rivers. A healthy lawn also traps much of the estimated 12 million tons of dust and dirt released into the US atmosphere annually. Nature surrounds us, make yours stunning! Grass is used for recreation from family picnics to soccer to football to any other sport played on grass, grass is essential. It acts as a pad to reduce injuries that might have happened. 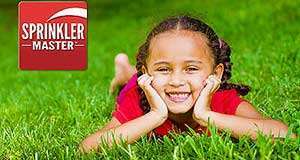 A dense lawn is a far safer playground and playing field than nearly any other surface. When the patient’s room viewed a beautiful landscaped area compared to patients with non-landscaped views a faster recovery has been observed in hospitals. With the weather heating up, wildfires are more prone to spreading. Help protect yourself with a lush green lawn. Grass is known to have a low fuel value which can actually help act as a buffer around your property in case of fire hazards. Need a sprinkler repair? Find a location near you!